U.S. Sen. Bob Menendez is a longtime friend of the Florida eye doctor with whom he's on trial, and the government's fraud and bribery case against them is built on assumptions, the doctor's attorney said Thursday in his opening statement. The government alleges trips paid for by Salomon Melgen, and campaign contributions he made to Menendez, were to get the New Jersey Democrat to use his influence to help Melgen's business interests. But attorney Kirk Ogrosky said that Melgen and Menendez spent time frequently at Melgen's homes in Florida and the Dominican Republic and that Menendez often paid for his own flights to visit Melgen with family members. "That's a heck of a bribe," he told jurors. "'I'll bribe you, pay your own way.' That's baloney." Ogrosky also said Melgen didn't get any benefit from Menendez's alleged attempts to pressure government officials on his behalf. "There was no conspiracy," Ogrosky said. "There was no quid pro quo." Prosecutors entered into evidence emails that showed Menendez was planning a trip to Paris. He wrote Melgen asking for his help in getting a luxury suite, the emails show. Melgen used reward points to book a $1,500 per night suite for three nights for the senator. In openings, Menendez lawyers pointed to a line in one email where the senator said he would pay back the points once he was able to accumulate them. Prosecutors said Menendez never planned to repay, nor did he repay, the value of the Paris suite stay, which totaled nearly $5,000. And when prosecutors began to show the difference between a king delux room at the hotel and a suite, they were cut off by the judge who told them he didn't want the price difference between the rooms in area tabloids. He added that the jury would know the hotel was "not a Days Inn." 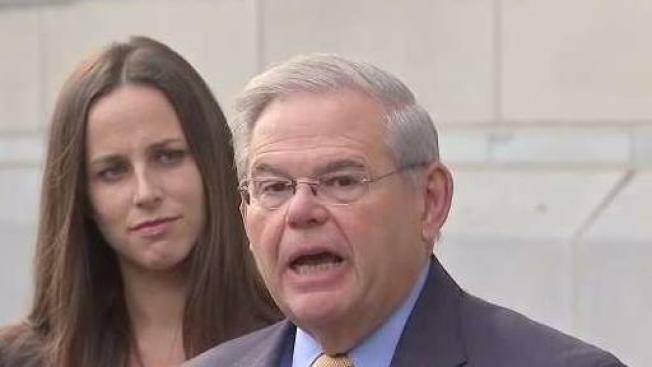 Menendez's attorney Abbe Lowell argued Wednesday in his opening statement that the two men have been friends since the early 1990s and that "acting out of friendship is not a crime." "Look for evidence of any corrupt agreement," he said. "You won't find any because there isn't any. They have bene wrongly accused." How a jury tackles the question of "why?" and not "what?" could hold the key to the trial. 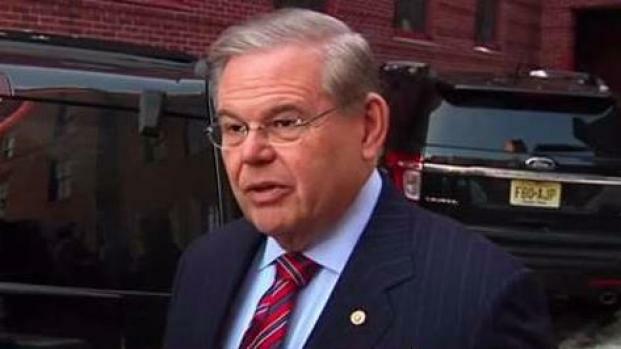 Loell said that Menendez can't be found guilty unless jurors conclude that his intent was corrupt and that there was a bribery arrangement. The evidence won't show that, he said. "This case isn't about what happened, it's about why it happened," Lowell said. Among the gifts prosecutors say Melgen gave Menendez were flights on Melgen's private jet and vacations at Melgen's private villa in the Dominican Republic frequented by celebrities like Beyonce and Jay Z, in addition to the Paris hotel stay. Melgen also contributed more than $700,000 to Menendez's legal defense fund and to entities that supported Menendez's campaigns. "He went to bat when Dr. Melgen asked, and Dr. Melgen asked frequently," Koski said. "There's no friendship exception to bribery. There's no friendship exception to breaking the law." Menendez and Melgen were indicted in 2015 and face multiple fraud and bribery charges in a case that could threaten Menendez's political career and potentially alter the makeup of a deeply divided U.S. Senate if he's convicted. If he is expelled or steps down before Gov. Chris Christie leaves office Jan. 16, the Republican would pick Menendez's successor. A Democrat has a large polling and financial advantage in November's election to replace Christie. 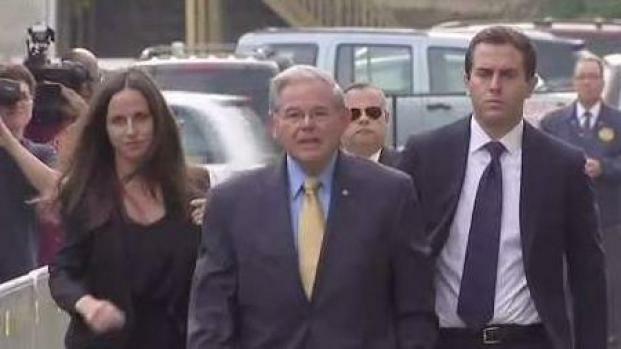 Menendez said before entering the courthouse on Wednesday: "Not once have I dishonored my public office." Menendez has kept up a busy public appearance schedule while under indictment, and that didn't change Wednesday. After court adjourned, Menendez attended a rally of about 100 people outside a federal immigration building next to the courthouse to protest President Donald Trump's decision to end deportation protection for young immigrants living in the country illegally. "We can keep the dream alive," he told the crowd through a megaphone. "You are not alone."